You've never seen a game like this. The targets are actually "floating" on air! Take your best shot, try to knock over the mystical floating planets out of orbit. It's a great game for all ages and accommodates your choice of 1 to 6 players at a time. 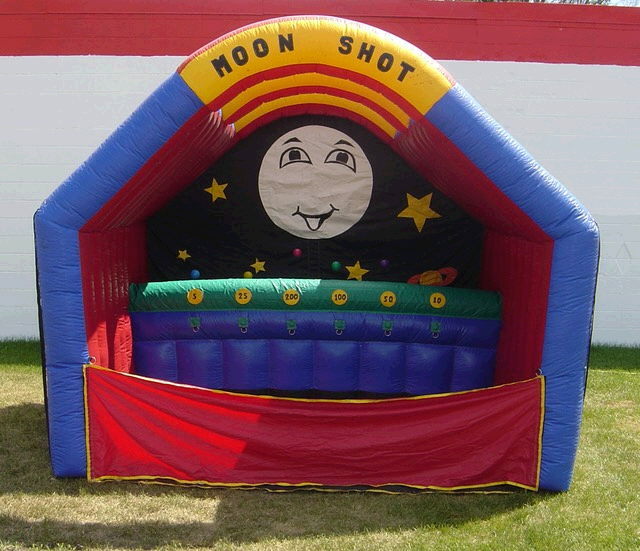 * Please call us for any questions on our moon shot toss rentals in Pipersville PA, Hatfield PA, and Bucks & Montgomery Counties in Pennsylvania.